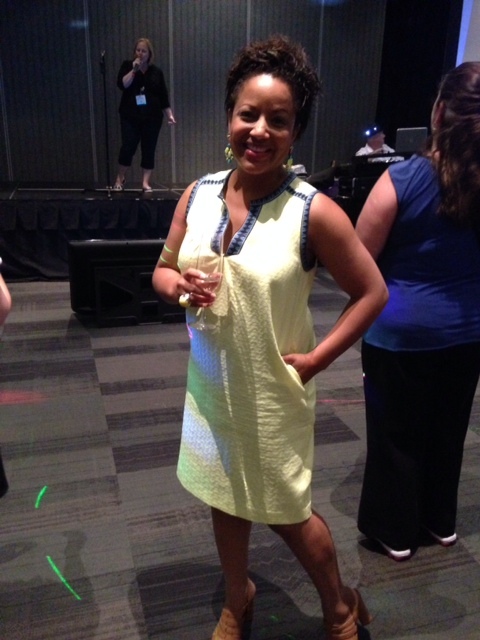 « Take YOUR Personal Style to BlogHer ’14! 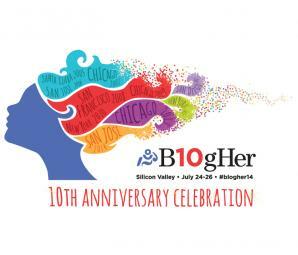 I just returned (well, 4 days ago) from the BlogHer14 conference in San Jose, CA. It was my first time there (newbie) and I felt a bit intimidated at first, but not enough to forgo this opportunity to learn more about writing and blogging. 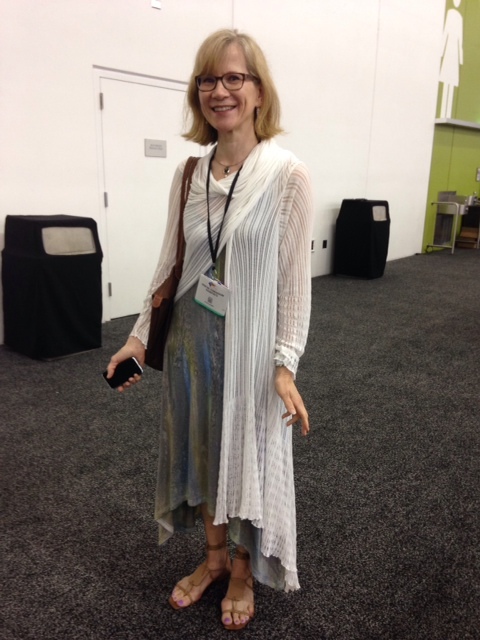 As I mentioned in my last post, I went at the urging of Nancy Davis Kho of Midlife Mixtape, my literary inspiration and talked Amy Roseveare, of Jewelry Fashion Tips, into going and being my roommate. In no particular order, here is my top 10 list of reasons I was happy I went. 10. It was an opportunity to be away from my family. OK, that doesn’t sound very nice, does it. I LOVE my kids and husband like crazy, but sometimes it’s really nice to experience life as a 1, not part of a 2 (husband) or 4 (husband and kids). It was exciting to be going to a place where the women and a few men spoke a language unique to writing and blogging. 9. It was an opportunity to spend time with my people. Having a BlogHer alumni to show me the way, tell me to sign up for the FB group and what were the not to be missed parts of the conference was invaluable. Nancy got me excited and took me under her wing, introducing me to wonderful women who made everything more fun. My roommate, friend and colleague Amy gave me a sense of belonging and saved me from sitting alone in most of the breakout sessions. It felt like college all over again, since Nancy and Tarja at The Flying Chalupa, were in the very next room at our hotel. 8. I loved the energy of 2500+ women and a smattering of men of all ages, colors, sizes, sexual preferences, writing styles and levels of blogging success. Every time I sat down at a table for a meal or a speaker, everyone was so darn friendly, I LOVED that. Where else can you go where people are genuinely excited to meet and talk to you? Don’t answer that, but for me that place was BlogHer. 7. The keynote speakers were amazing! From Tig Nataro, to Kerry Washington, to Arianna Huffington, these women are heavyweights in their respective fields. Tig Nataro was hilarious, self deprecating and her delivery was dry as a bone. I’d never heard of her before Blogher, but she is surely on my radar now. Arianna Huffington’s message about getting enough sleep and not gloryifing being busy really resonated with me. She was a font of clichés and quotable sound bites. Kerry Washington was real, unapologetic about protecting her privacy and very well spoken. These women were inspiring. 5. 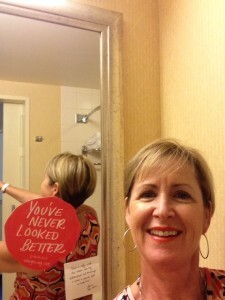 Finding a sticker on my mirror that said “You’ve never looked better”. Whether or not it was true, I appreciated the vote of confidence. In addition, there were stickers left to bring home that said “I’m enough”, a wonderful sentiment indeed. Aforementioned stickers were part of the marketing campaign for a new band called The Mrs. with a single coming out called…you guessed it, Enough. 4. Voices of The Year (VOTY). This is BlogHer’s version of the Oscars. Pieces are submitted and chosen to be recognized at the Friday night reception. I was so proud that one of Nancy Kho’s pieces was chosen, although not everyone honored gets to read theirs. The honesty and heart with which these women wrote such personal stories, was so incredibly inspiring to me. Tears flowed freely as each one was read. Lisa Rae Page Rosenberg at Smacksy read hers last and I believe it was my favorite, sniff, sniff. You won’t regret clicking her link and reading it for yourself, promise. 3. I got a whole lotta new ideas, apps, contacts and a very long to-do list. That’s why you go to conferences, right? You want to be better; to write better, to take better pictures, to learn about the latest and greatest buzz in the biz. 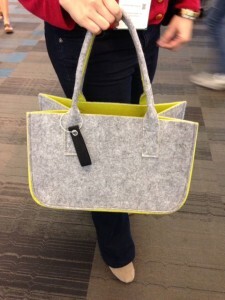 BlogHer delivered and I’d be looking forward to implementing what I learned if I wasn’t so busy (oops, sorry Arianna). 2. 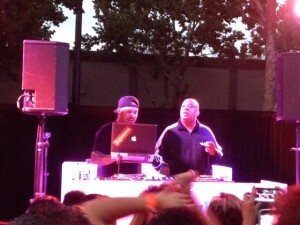 Dancing at the closing party to Reverend Run from Run DMC. I think this was a high point for most of us over the age of 35, or anyone that likes 80′s dance music. The dance floor was a sea of women dancing, grooving and singing every word. The 1 hour set was way too short and left us wondering what happened. But that 1 hour was one helluva good time! 1. Coming home to my +1 (husband) and +3 (husband + 2 kids). I always say the best part of vacation is coming home, and I was sure happy to see my family after the 5 days I was away. I missed them and I know they missed me too. 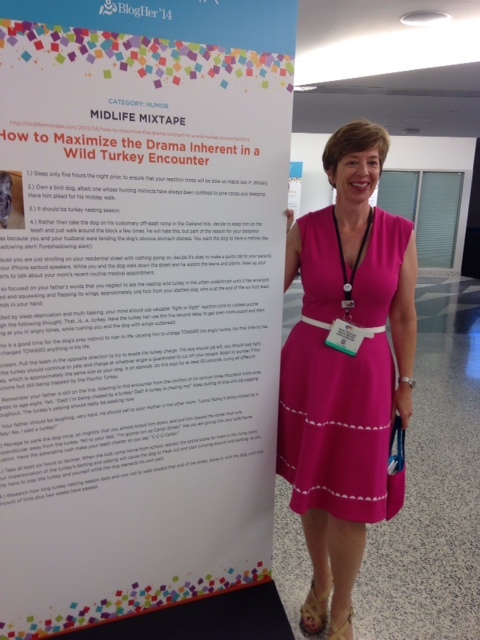 Thank you for a great time BlogHer14! This entry was posted on Thursday, July 31st, 2014 at 8:42 pm	and is filed under Conferences, Events & Happenings, Uncategorized, Womens dressing. You can follow any responses to this entry through the RSS 2.0 feed. You can leave a response, or trackback from your own site. I’m so glad you enjoyed it! We always say that the conference is what you make it and it sounds like you made it grand. I’d like to think I made the most of it! 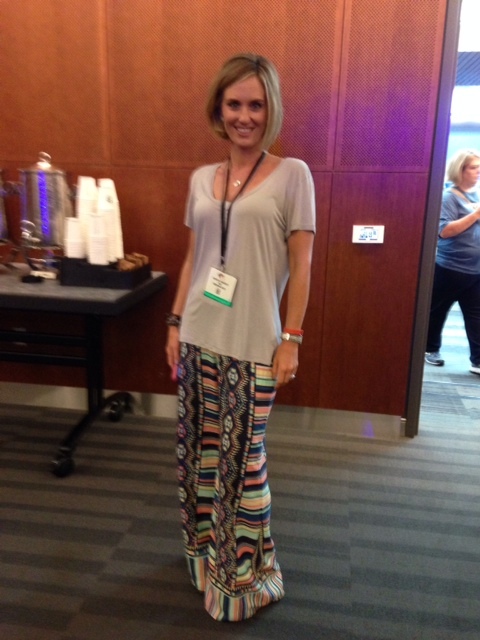 Just waiting for location of BlogHer ’15? I enjoyed meeting you with Nancy after the VOTYs! It was a pleasure to make your acquaintance. Likewise Kristen. 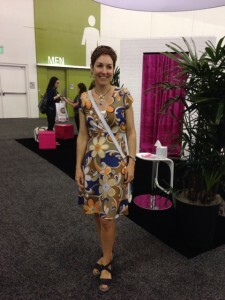 One of the best things about BlogHer was meeting such great women like you! Thanks Amy, so much fun sharing the experience with you! i agree – you come back motivated & full of new ideas PLUS new friends! Thanks Lisa. I was so happy to share your post. I meant it when I said I loved your reading, and I wanted everyone else to know it! Thanks for reading Elena. I hope you can go next year. 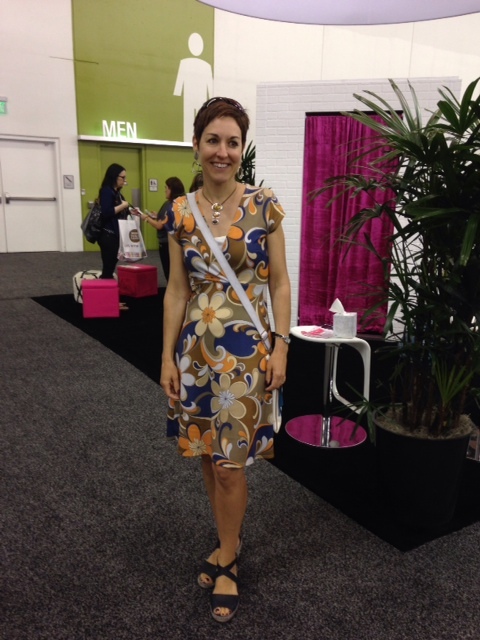 There were at least 4 SFBA AICI members at BlogHer, which was great to see! The first time is the best. This was my third. I’ve enjoyed them all, but the first was best. Thanks for reading. Yes, I think you always remember your first. Was your first New York? I am sure that San Jose will always be my best because it was first. I keep discovering new talents that you possess. Shopping has always been one of your passions and you have blessed your clients with your ability to put fabulous outfits together. Coming from a mother who is overwhelmed at Nordstroms, you did it all on your own! Hopefully I taught you other things. I am incredibly proud of all you have accomplished and you have only just begun the blogging. Watch out Blogging World!